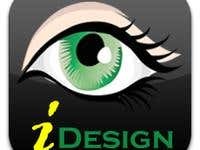 Eye Design is a Graphics Design Company. It is one of the popular graphics design company on freelancer. Completed over 100 successful projects and looking for more relationships with new clients. Believe in hardworking and long relationships. Our specialized area are 1. Logo Design 2. Website Design 3. Icon Design 4. Mobile Apps Design 5. Business Cards Design and much more...............!